Why Choose Turner Properties to Manage My Lexington Rental Property? We offer professional service with a personal touch. From advertising, signage, showings and answering calls we handle all aspects of your property. Also we incorporate technology to streamline management and make the entire process simpler. From our online rent payment system, to our monthly electronic statements we use the latest tools to insure your investment is properly managed. All rent payments are made directly to owner’s checking accounts via Electronic Funds Transfer (EFT). No chance of lost mail or special trips to the bank. We have a highly trained and professional staff ready to serve you. That assures you will always receive prompt and knowledgeable assistance and information. Our success is directly attributable to providing superior customer service, exceptional value and a dedicated owner who recognizes the significance of protecting our client’s most important investment – their home. Click on our client testimonials section to read about some of our past client’s experiences with us. Advertise property in multiple venues to acquire the best possible tenant. YouTube video tours of all our listings. Ability to show most homes 7 days a week. Online application process screens prospective tenants. This includes credit, criminal background checks, National Eviction Search, Income & Employment verification, Photo ID verification and rental history check. Complete lease agreements and any associated documents. Complete a Move-In inspection and Move-Out inspection with the tenant. Collect Rents and Hold Security Deposits in escrow. Maintain an after-hours emergency maintenance hotline. Dispatch and monitor contractors and vendors on maintenance requests. Conduct periodic inspections of leased properties to include taking photos for the owner. Process legal proceedings pertaining to delinquent tenants. We provide an owners web portal where you can view your account 24/7. See work orders, when the Tenant paid their rent etc. Provide Landlords with an accurate Monthly Financial Statement and Occupancy Report. With minimal vacancy and strict screening criteria we provide owners peace of mind knowing their home will be well cared for. Curb appeal. Having a neat yard with freshly cut shrubs gives a warm inviting feeling. If it is a vinyl home consider pressure washing. People know a neat home outside equals a neat home inside. Freshly painted walls with a warm neutral earth tone. Gone are the days of boring white walls. But we don’t want pink, blue, or orange rooms. They can be overpowering when viewing online and in person. Painting is the least expensive way to make the largest impact. Clean flooring is imperative. If carpeted have the carpets professionally steam cleaned. All tenants are charged to clean carpets at move out so we want to give them cleaned carpets at move in. Updated appliances. Everyone knows the kitchens can make the biggest difference in a home. Newer appliances, black, stainless steel etc will go a long way in getting a home rented quickly. Location location location! This includes part of town, subdivision, schools etc. We will help you put your home’s best foot forward. We aggressively market your home with a professional yard sign and an online listing featured on over 15 different websites. We take up to 25 photos of your home and are now taking YouTube digital video tours of all our homes. We are able to walk the potential tenant through your house without them having to walk in the door! This is a great tool for those who are not local and need to rent sight unseen. Working with an established management company and having extensive media enables us to rent to many out of town clients. Tenant screening is paramount to us! All adult occupants are required to complete our online rental application. We check credit, criminal background, national eviction search, and rental history. We also require 2 most recent pay stubs for income and employment and income verification as well as copies of photo IDs. With our thorough screening process and stringent requirements we greatly reduce the possibility of non payment by a tenant. We actually deny more applicants than we approve. We maintain these strict underwriting guidelines to reduce our homeowner’s risk of possible default by the tenant. Security deposits are held according to law in our company’s trust account. 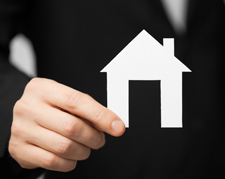 Any damages to the property beyond normal wear and tear will be repaired out of these funds. Any remaining balance will be refunded to the tenant along with a ledger showing cost and descriptions within 30 days of move out. We handle all lease preparation along with all other documents and disclosures required. Our leases have been drafted by attorneys familiar with landlord tenant law in South Carolina. Rest assured you will have a fair and well-balanced lease that will protect the owner and tenant’s best interest. Lexington is the fastest growing suburb of Columbia. Located west of Columbia it is bordered to the west by Lake Murray. In recent years there has been a large influx of new businesses and residents to the area. Low cost of living, excellent schools and access to Lake Murray make this a desirable location. Main Street has undergone a recent renovation and many new restaurants and retail stores have opened along Highway 378, Lexington’s main business corridor. Noted employers include Lexington Medical Center, County of Lexington, and Home Depot. Are you maximizing your investment?